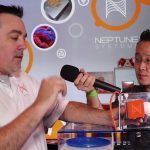 Eshopps treated this year’s MACNA attendees with a bunch of interesting new products. 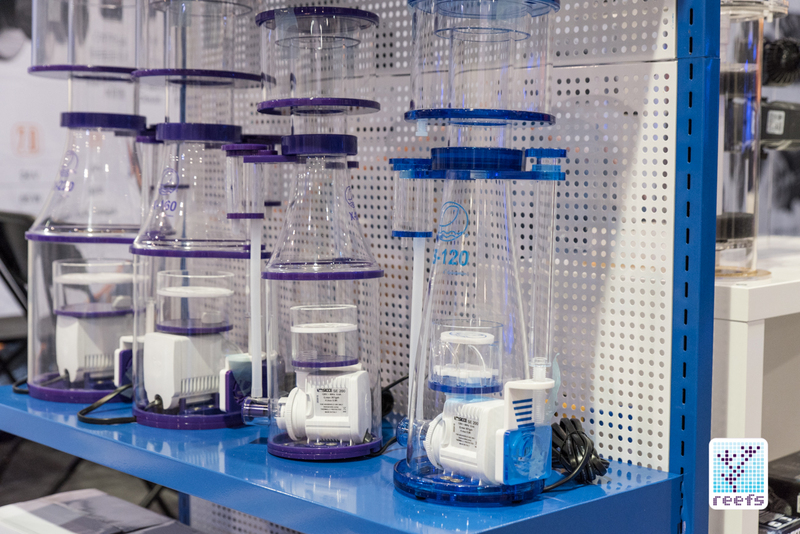 About half of this Southern California-based company’s booth was occupied with an extensive display of the brand new line-up of protein skimmers, which the manufacturer came up with for the 2017/2018 seasons. 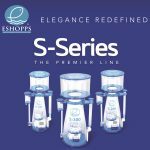 Starting with the premier S-series line, Eshopps completely revamped their cone shaped skimmer- there are numerous technological advancements and new ideas present in its build. 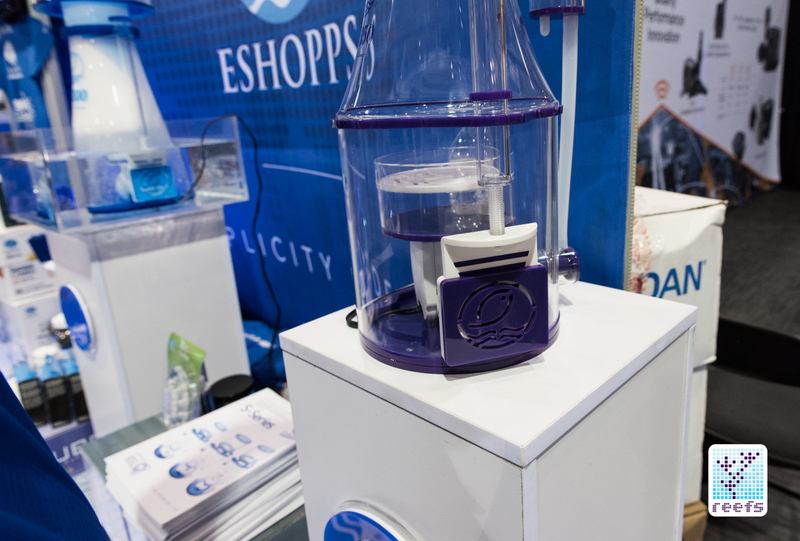 Eshopps calls it EID (Eshopps Intelligent Design) technology and it consist of a series of (patent pending) innovative solutions built right into the new skimmers. The S-series consist of three models- S-120 rated for aquariums between 40-120 g, S-200 for tanks between 120-260 g and S-300 for the largest systems 260-500 g in volume. At the heart of each of the three models sits a custom made Sicce pump (an exclusive for Eshopps) and a completely redesigned bubble plate called Eddy. Eddy Bubble plate contains a series of angled baffles that create a circular movement of bubbles and water before they enter the main reaction chamber. That effect drastically extends contact time and makes bubbles much smaller than what standard bubble plates & venturi produce. In fact, the venturi attached to S Series Sicce pumps is transparent, which means that any calcium buildup can be easily seen and taken care of quickly. So are the silencer and water column adjustment screw. 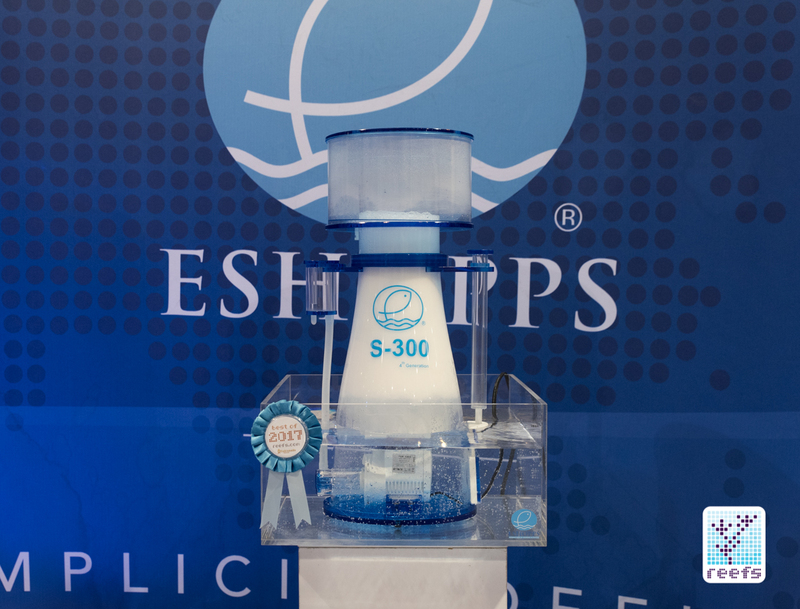 With S-series, Eshopps aimed for ease in cleaning and maintenance. 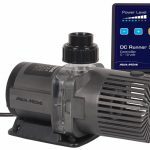 The whole skimmer body has a twist-off base and even the pump itself is on a special bracket that is held with a single screw and a locking mechanism. 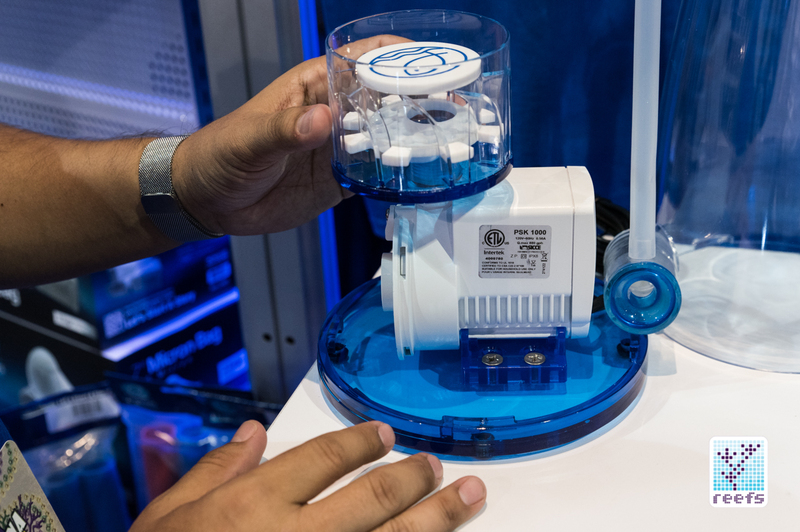 Similarly, the Eddy bubble plate can be unscrewed from the pump’s outlet and cleaned independently The X series skimmers, also called Axium, are marketed as a mid-level devices and share a lot with their higher price S-series counterparts. 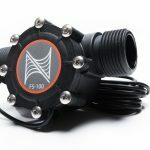 Consisting of four models (x-120 for aquariums between 40-120 g, X-160 for 100-225 g tanks, X-220 for 200-325 g and the largest X-350 for 300-450 g systems), the X-series are built using same custom made Sicce pumps sitting internally and identical transparent venture found in the S-series. They differ from the latter in that they lack the Eddy bubble plate and feature a more standard, modular body. They will cost less, naturally. Speaking of pricing, the S-series models cost: S-120 $299.99 S-200 $449.99 S-300 $549.99 While the Axium: X-120 $209.99 X-160 $299.99 X-220 $379.99 X-350 479.99 There is an impressive number of innovations built right into the new line of skimmers Eshopps presented at MACNA, and I was quite amazed at how well the S-Series model at the booth worked. It was totally silent and produced some of the finest bubbles I’ve ever seen in a skimmer. 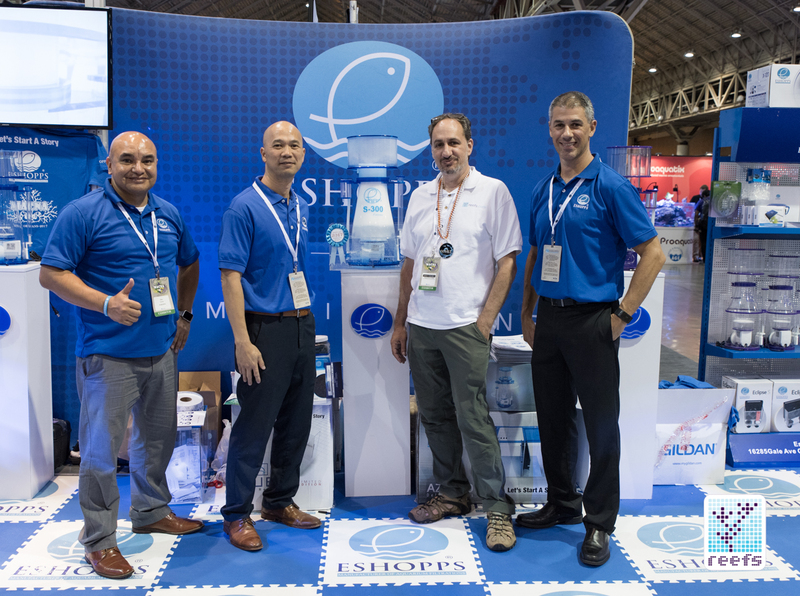 We were proud to present the “Best of show” to the Eshopps team for their commitment to innovation in reefing hobby equipment. Take a minute to check the official page of the S-series and the X-Series of skimmers and stay tuned for more news from the Eshopps MACNA 2017 New Orleans booth!